AMMONNEWS - chairman of the Joint Chiefs of Staff, Lit. 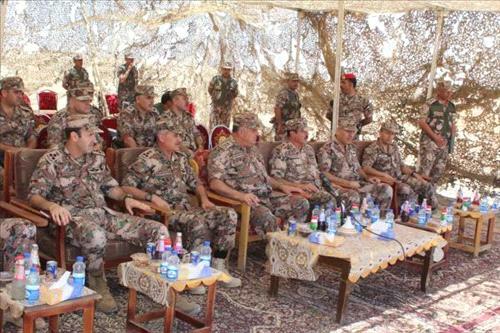 Gen. Mahmoud Freihat, on Tuesday, visited the Southern Military Zone, where he met with the zone's Commander Brigadier General Adnan Abdul Hamid Al Majali and a number of officers. Al Majali briefed Freihat on operational, training, administrative and security tasks of units and formations of the southern military zone. The army chief also checked on a number of the zone's units in Ma'an camps.